Environmental Sustainability and Business: Crisis or Opportunity? 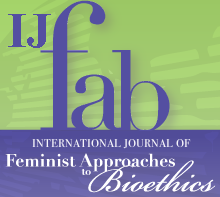 The International Journal of Feminist Approaches to Bioethics invites submissions for Vol. 9, No. 3: “Health and Ecological Destruction: Fracking and Beyond,” edited by Laura Purdy and Wendy Lynne Lee. Tenure-track position, to start September 2014. Ph.D. in Environmental Studies, Environmental Geography, or a similar interdisciplinary environmental program required. Seven courses per year (3-1-3), including Introduction to Environmental Studies, Geographic Information Systems, an interdisciplinary upper-level course in area of expertise, and senior capstone. Candidates with an interest in sustainability-related issues and teaching experience will be given priority. Participation in an interdisciplinary, values-oriented general education program is required, including a regular rotation in the two-semester freshman program. Eckerd College, the only independent national liberal arts college in Florida, has a tradition of innovative education and teaching/mentoring excellence. To apply, submit letter of application, vita, recent teaching evaluations, statement of teaching philosophy, graduate and undergraduate transcripts, and three letters of recommendation via http://www.eckerd.edu/hr/employment by October 4, 2013. Inquiries may be sent to Dr. Beth Forys (forysea@eckerd.edu). Qualified candidates must be authorized to work in the United States for the College. EOE. Applications from women/minorities encouraged. Climate models influence our understanding of climate change, its causes and its future. They are a central technology of climate science. But they are also sources of information for far-reaching policy decisions, sites of multidisciplinary integration, products of distributed epistemic labor, and much more. As a consequence, climate models are of significant interest to scholars in philosophy, history of science, and science and technology studies. This workshop will bring together well-regarded scholars in these fields along with established climate scientists to explore the epistemic, ethical and socio-political roles that climate models play, their interactions and implications. We have a limited amount of space for extra participants and some funding for PhD students and Postdocs. If you would like to participate, please email Joel Katzav (j.k.katzav@tue.nl) and explain your interest in participating. Support for the workshop is being provided by the 3TU.Centre for Ethics and Technology, the Eindhoven Centre for Innovation Studies, and the Durham Centre for Humanities Engaging Science and Society. The ‘ethical turn’ across the arts and humanities has taken its place in social and cultural anthropology primarily as a way to address long-standing questions of human agency within cultural and political systems. Anthropologists have been developing their own take on questions of ethics and morality in ways drawing largely from neo-Aristotelian and Foucauldian theorisations. Theories of subjectivity, gendered or sexual difference, affect, and the ‘post-human’ have become prominent in investigations that question the bounds of the self/subject, and the ways in which we can conceptualise it as socially or politically emplaced. Building on this emerging literature, but cautious of some of its ontological assumptions, the premise behind this workshop questions the prioritisation of certain notions of the ‘self’ over inquiries into the nature of the ethical ‘subject’. This workshop seeks to ask what such theories, and different disciplines’ elaborations and critiques of them, can usefully lend current conceptualisations of ethics and morality. The keynote lecture entitled ‘Attunement, Fidelity, Dwelling: A Critique of Metaphysical Humanism’ will be delivered by Associate Professor Jarrett Zigon of the University of Amsterdam. Each of the four sessions will be structured around a research paper, to be pre-circulated to all workshop participants, which will form the starting point for the discussion. After registering participants will receive drafts of the research papers in advance for each of the four sessions and are strongly encouraged to read these prior to attending the workshop. The workshop welcomes participants across academic disciplines keen to engage in lively discussions and raise questions and ideas during the day. What analysis of attachments and detachments across sameness and difference do concepts such as affect enable or disable? What are the challenges to more recent feminist theories that attempt to show how ethics is suggested and solicited by an ontology of interdependency between people? How do lesbian, gay, bisexual, transgender and intersex subjectivities complicate ethical and political responses to deeply ingrained normative practices? In light of the central place of ‘the Other’ in anthropological concerns, how can feminist and other theories of alterity inflect anthropological theories of ethics? How do questions of politics enter into, impact upon, or undermine our theorisations of the ethical? Can claims of relationality and acknowledgment of difference be shown to be fundamentally non-violent? How do we continue to address violence within ethics? How can psychoanalytic theories addressing subject/object, or self/other, relations, help us to theorise the space in which ethical subjectivity is formed? Do contemporary theories of affect push us beyond concepts of ‘relationality’ or ‘intersubjectivity’ in theorisations of ethics? Can Levinasian theories of ethics as the pre-subjective relation to the Other inform ethnographic inquiries into ethical relationality? What other approaches from philosophy or other disciplines can inform the study of ethics and morality? Do these theoretical approaches invite us to question the idea of intersubjectivity as the place of ethical relationality? To learn more and to register please visit otherethics.wordpress.com. Supported by the Division of Social Anthropology, University of Cambridge. The Department of Anthropology at Stanford University seeks an innovative scholar for a tenure track faculty appointment in the area of the anthropology of human-environment interactions. We seek a motivated, broad thinking scholar whose research focuses on the human dimensions of environmental or resource systems. Research areas could include food, food systems, and food security; natural resource management (including questions surrounding conservation, water and water rights, forests, fisheries, energy, etc. ); subsistence and livelihoods; and studies of urban environments, including studies deploying geographic information science. In addition to establishing a vigorous research program, the successful candidate is expected to be a strong participant in Stanford’s interdisciplinary institutes of environment and energy. The successful candidate is also expected to teach classes and mentor students at the graduate and undergraduate levels. Applicants are asked to provide a cover letter describing research and teaching experience as well as future plans in these areas and curriculum vitae. Please submit the requested materials in .pdf format via email to Ellen Christensen, luce@stanford.edu. Applicants should request 3 letters of recommendation to be sent to the same email address. Review of applications will begin on October 1, 2013 and will continue until the position is filled.